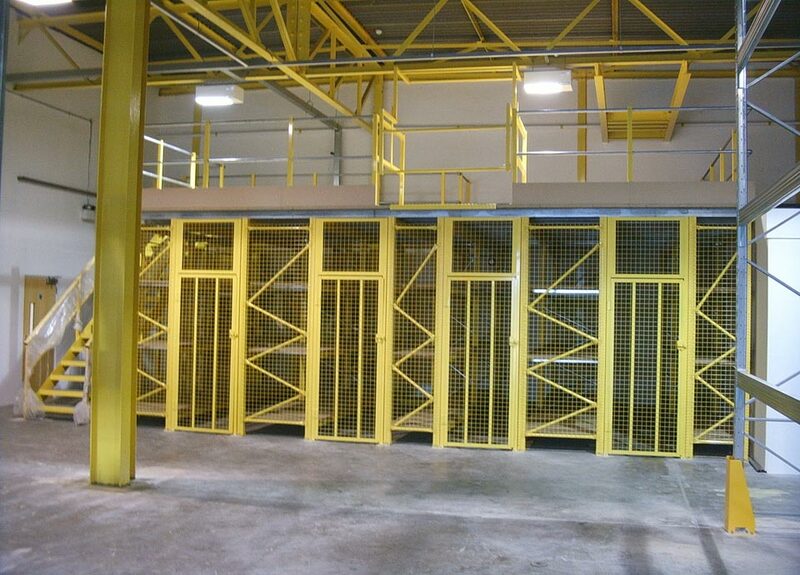 Our design team can use our 456 Racking system to create a tailor made solution for your warehouse or storage requirements. 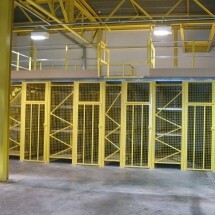 The adjustability and flexibility of this product gives a truly versatile solution. 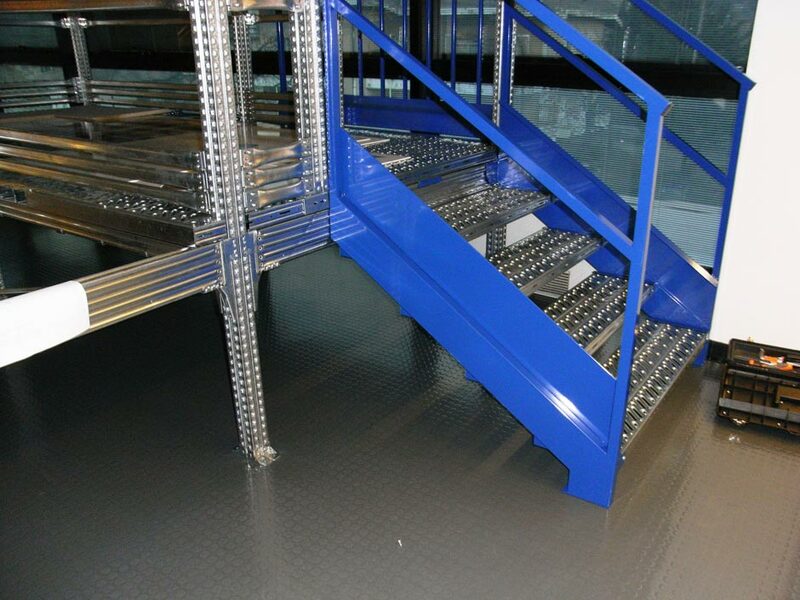 Used extensively in warehouses and in the automotive sectors, the installations are available with chipboard or steel walkways and are accessed by our purpose built staircases. 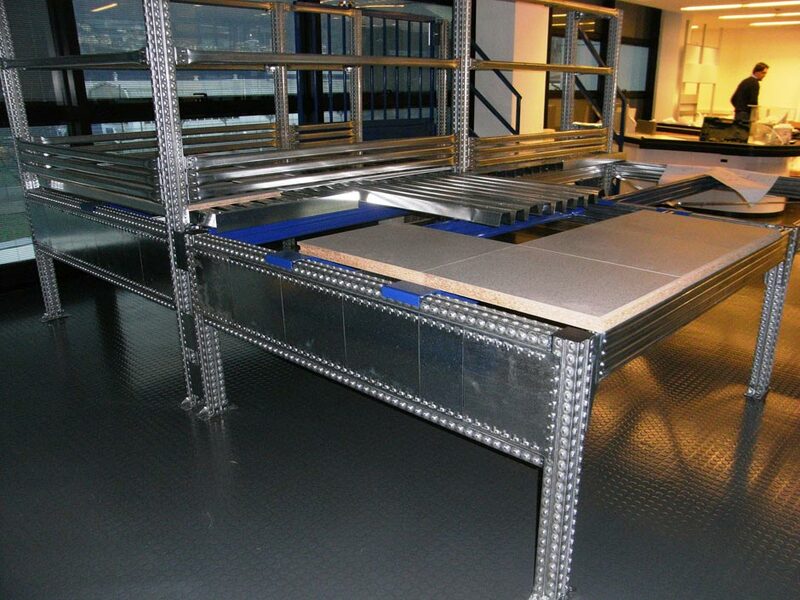 Products/stock can be loaded to the upper tiers by either an incline belt conveyor, goods lifts or by fork truck via a pallet gate, all of which is incorporated in the initial design. 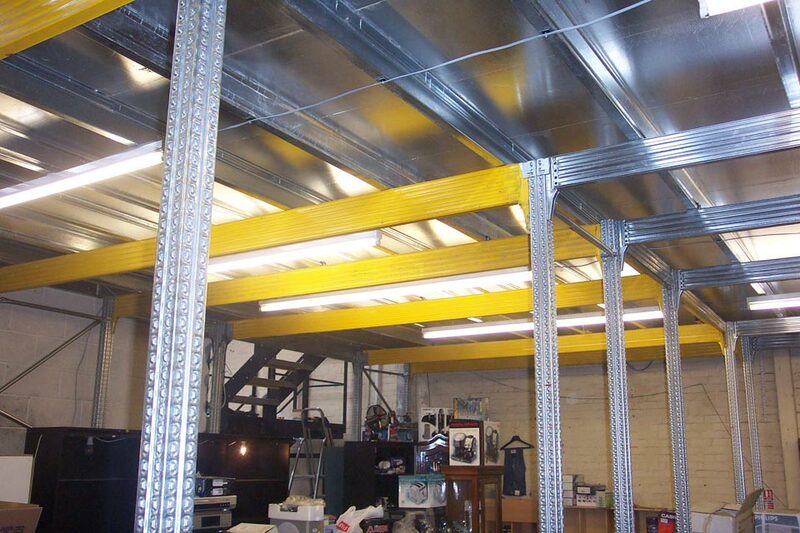 Due to the modular construction of this system, two and three tiered systems are ideal when access is limited or the concrete slab has a limited load bearing capacity. 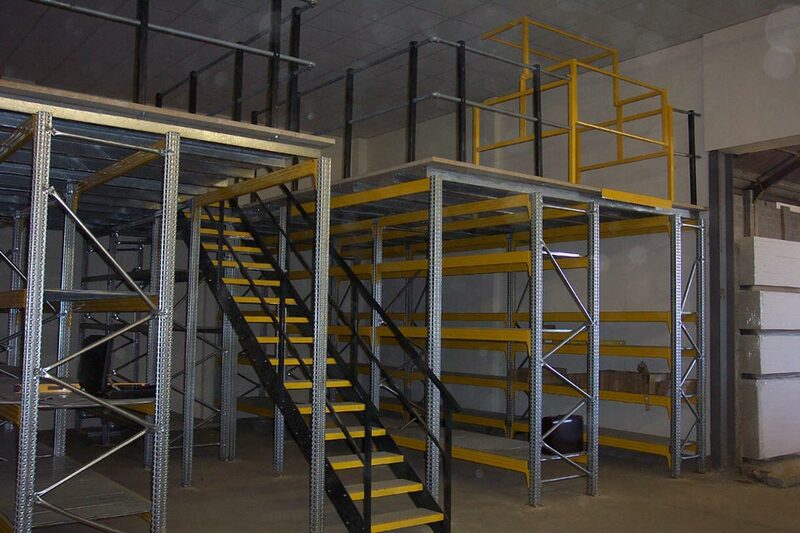 Additionally the availability of our large stocks of this system means the lead time is reduced when compared to a traditional mezzanine floor. 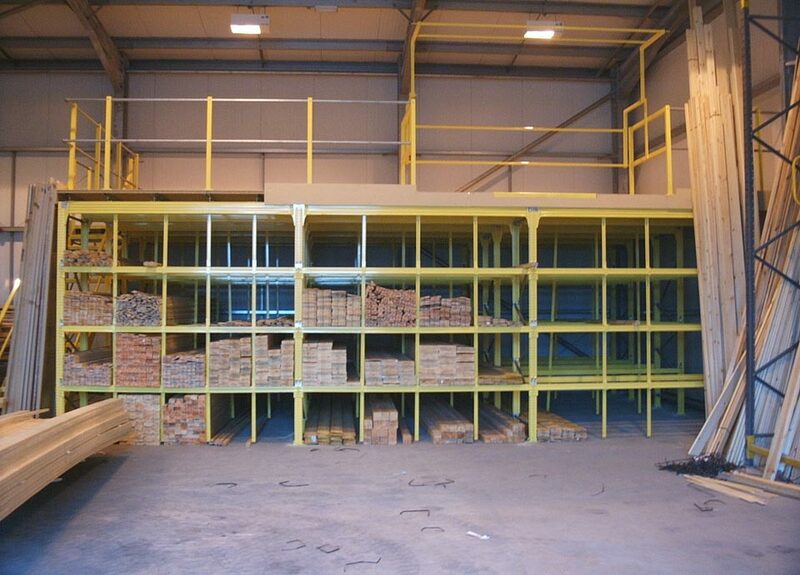 All tiered floors require a building regulations application to be submitted for approval. Our project managers will advise on every aspect of the necessary steps required to satisfy the regulations governing structures of this type. 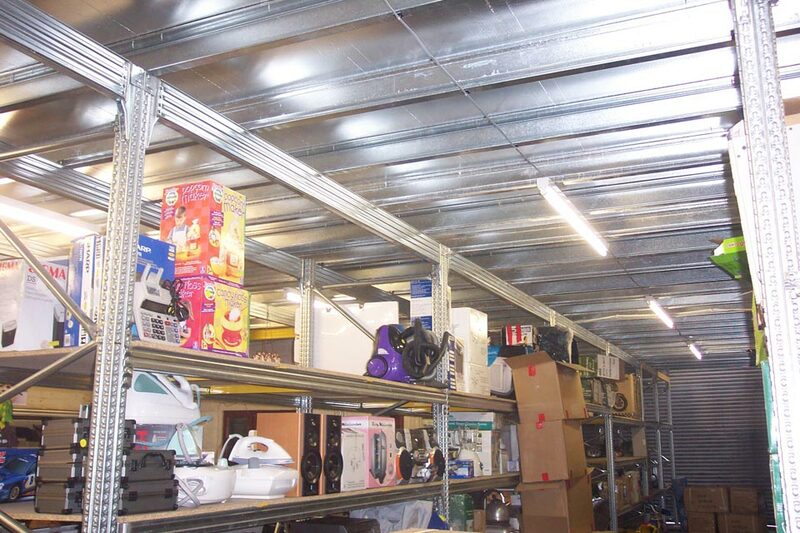 Call our sales team today to see what a tiered system could do for you!